There are many film festivals and programme that are celebrated in India. The media industry appreciate the contribution of the artists by organizing various award shows. There are many types of award shows like regional, national, international. 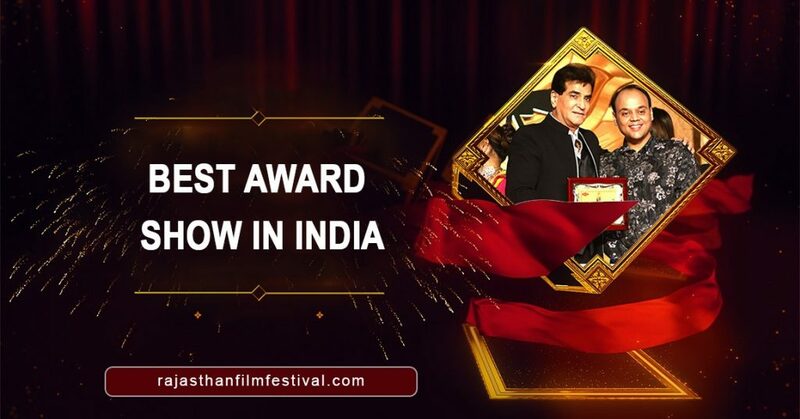 In India there are various award shows that are organized in different parts of the words and country, one of the best award show in India is RFF, Rajasthan Film Festival. The Rajasthan film festival is the best film festival film in Jaipur, Rajasthan, India. It provides a new chance and promotes next level of the platform to filmmakers, artists, and technicians of Rajasthani cinema, that motivates them, so that they may work more and more and take Rajasthan Cinema to the known phase and identification. From the past 5 years of continuous hard work, this festival has brought an amazing change in the Rajasthani cinema this effort is further appreciated by all the people appreciated by all the people. After years of success, this festival is improvising and coming up with new ideas and talents. This festival was started by the vision of Kanchan Cassettes & Series who is a very well-known firm for media production and because of their efforts, this huge task was accomplished. This festival was first organized on 28th September 2013 and was a huge success and was able to bring back the pride of cinema of Rajasthan and capable of promoting art and culture of this land. RFF is the best production house, good platforms for all artists, and Best Award Show in India. Rajasthan Film Festival involves events, an award show that honor and encourage both artistic and technical excellence of artists in Rajasthani cinema thus this build confidence in the artists to work more and more and get good results, because of this festival new talents come forward and this creates an identity of them, they showcase their talent. The other part of Rajasthan film festival is dance performances, plays, live performances by singers, stand up comedians and poets. Rajasthan Film Festival is organized at various locations and the celebrities from all over India come to attend this mesmerizing event.